Here’s something to look forward to this April… the 9th Manila International Auto Show (MIAS). If you have already attended this event in the past years, you know that this event gets even better year to year. In its practice of arranging world class events, Worldbex Services International (WSI) is once again ready to start another exciting project as it uncovers the 9th Manila International Auto Show – MIAS 2013 gearing towards the theme “INNOVATION AND TECHNOLOGY”. 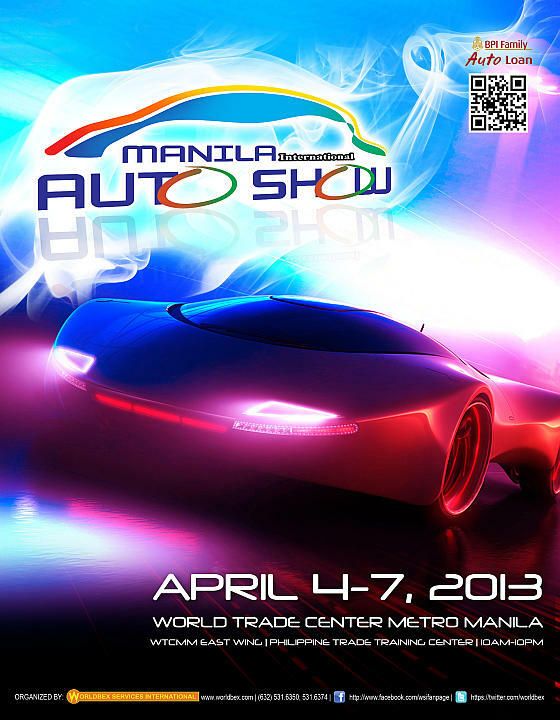 Dubbed as the Philippines’ biggest driving and motoring event, MIAS will be held at the World Trade Center Manila and Philippine Trade Training Center this April 4-7, 2013 from 10AM to 10PM. As in any events organized by WSI expect MIAS 2013 to be filled with first rate highlights such as in depth number of car displays, car launches, the most up to date collection of car parts, gadgets and supplies, professional precision driving and test driving activities.